The Nitto Mud Grappler tires are one of the best off-road terrain tires you can get for your truck. With over 60 years in the tire business Nitto has a dedication to quality few can match. This tire was specifically designed to provide traction over the most extreme off-road conditions from dirt to rocks and from sand to mud. 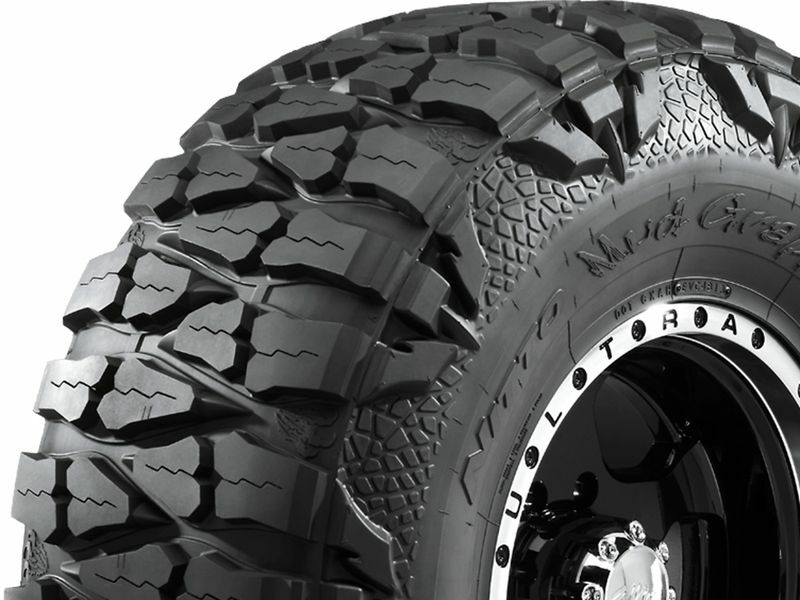 Along with a rugged tread design the Mud Grappler also features massive side lugs and a 3-ply polyester sidewall offering added protection from sidewall punctures. Nitto also kept aesthetics in mind and designed the Mud Grappler with two different sidewall designs for you to choose from. Hands down the Nitto Mud Grappler is an amazing choice for your off-road rig with the ability to handle whatever nature decides to throw at you. If you are changing your tire dimensions from stock you will want to have your speedometer & odometer recalibrated after installing your Nitto Mud Grappler tires. Changing your wheel or tire size can affect the accuracy of your gauges as well as how your transmission shifts. To check out the tire recalibrators that we sell click here. If you have any questions or concerns please feel free to give us a call.